This is the first book from Windows Crash Dump Analysis tetralogy. It introduces basic definitions, tools, memory dump collection and preliminary analysis methods for Windows platforms including legacy versions. This practical guide and reference book is a must have for system administrators of Windows server platforms and client workstations, technical support engineers and general Windows users. 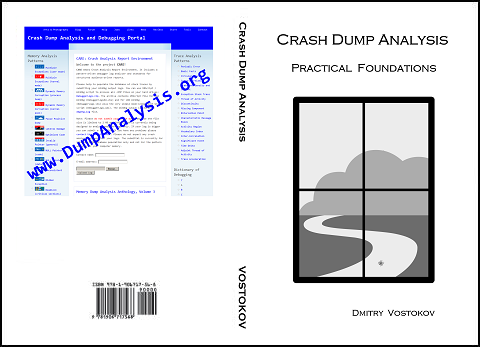 It builds foundation for the second tetralogy book Crash Dump Analysis for System Administrators and Support Engineers and the remaining tetralogy books Windows Crash Dump Analysis and Advanced Windows Crash Dump Analysis.